Media captionMar-a-Lago is a private members club as well as the Trump family's winter getaway. "Due to a potential language barrier issue," staff believed she was related to a club member and let her in. Ms Zhang - who was described in the affidavit as an "Asian female" - is charged with making false statements to a federal officer and illegally entering a restricted area. She told agents she had been instructed by a friend, identified only as "Charles", to travel from Shanghai, China, to Palm Beach to attend the purported United Nations event, but did not provide any more details, according to court documents. In the court document, Mr Ivanovich notes that Ms Zhang "freely and without difficulty conversed" in English, becoming "verbally aggressive" with authorities as the investigation progressed. The Secret Service said in a statement that it "does not determine who is invited or welcome at Mar-a-Lago; this is the responsibility of the host entity. 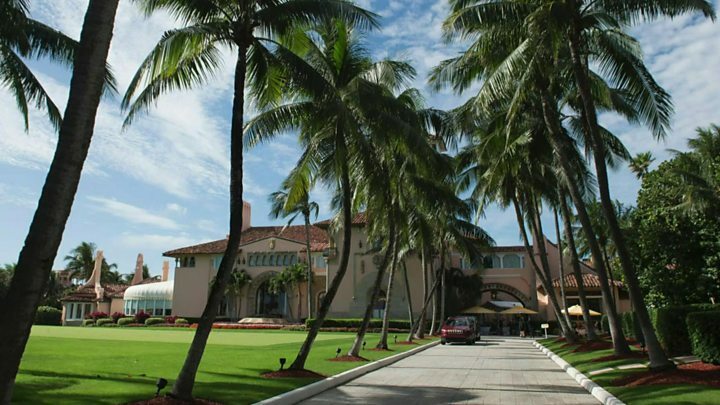 "The Mar-a-Lago club management determines which members and guests are granted access to the property." Ms Zhang's lawyer has so far declined comment.